The summer is coming to an end in Maine. The night is drawing in earlier. Where Naomi and I would return in the warm light of a setting sun, now we enter our driveway under the stars. 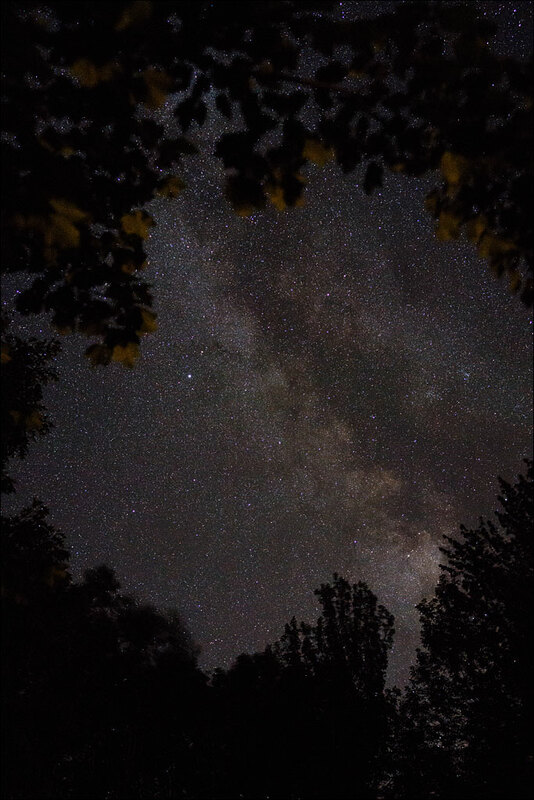 The summer milky way floats above our forest giving us hope for a little more of the season, but also signaling its departure. It, like the sun, will set earlier and earlier. Click on the image for a larger view.